This post will be talking about 5 ways you can significantly increase your website traffic. I just began to realize the power of blog commenting. Blog commenting is a powerful way to get traffic to your website especially if done wisely and on a large scale. One major thing about blog commenting is that it also helps you build a great brand when people begin to see your comments every here and there. It is very important to make use of avatars when trying to get traffic to your blog through blog commenting because this will help people take note of you when they begin to see you everywhere every now and then. Being the first person to comment also helps a lot because most people are likely to visit the websites of a few of the first commenters and they rarely visit the rest. Many people tend to write just any guest post because they believe since the blog is not theirs then their best post should be on their blog, this is not supposed to be because of several reasons. One major advantage of submitting quality guest posts is that it helps you build a relationship with the blogger and his readers but if you just write anything there is a probability of the blogger declining your post, and if he doesn’t his readers will not visit your blog. The better your guest post, the better your result. This is one underutilized traffic generation strategy many bloggers don’t use, many bloggers tend to give excuses that they are busy, If you are busy then you might want to be submitting your guest posts to blogging communities every weekend. Some of the best blogging communities are MMO Social Network and Blog Engage; these two networks have sent me hundreds of visitors over time. 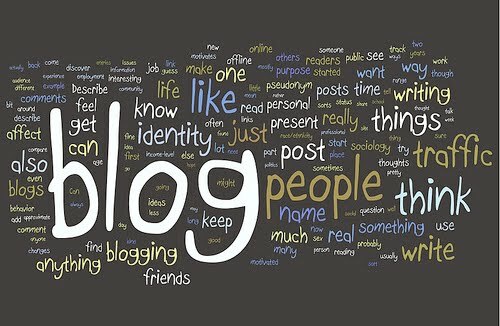 One major thing to consider when trying to get the best from blogging communities is that you have to have high quality posts and you also have to build relationship because people tend to vote up people they know and if you have an high quality post people will be more inclined to visit your blog. If your aim is to go to forums to go and spam then within a short period of time you will be banned but if you focus on helping as many people as possible the end result will be you lasting longer in the forum, having more friends and building more stronger relationship and you will also have more traffic and authority. Some great forums to get started are the Warrior Forum and Digitalpoint Forum. I wouldn’t have put this on this list but it is also a very effective way to get traffic to your blog. I was checking my overall stats today and I discovered that my mailing list has sent me hundreds of visitors, this is a good number because I only sent my posts to them a few times. One of the major benefits of a mailing list is the instant result it provides, people tend to respond faster because they are closer to their email than any other thing. I have also observed mails I sent and I discovered that your titles matter, I have had sent emails have as low as 15% open rate and I have also had emails have over 35% open rate but what matters most is the title. If you have a cool and attractive title then you will get more results than having generic titles. It is also important to know that getting traffic takes time and requires constant effort, if you are dedicated to making the effective use of the above tips then in no time you will be getting a lot of traffic on autopilot. Blog Pages, Posts, Categories, and Tags… HELP! When should you use a blog page instead of a post? How do you know what should be a category versus a tag? After this post, you will know exactly what to do. I’ve received questions about this from readers and clients this week about pages vs. posts and categories vs. tags, so I wanted to answer them in a post for everyone else who also be struggling a little with these. TIP: If you plan on having a lot of pages, choose a blog design that handles many pages well, and which can work easily with parent pages. Parent pages allow you to designate any existing page as the parent of another page. This sets up a link structure that is seen in your blog’s page links (in various ways). Look for themes that have cascading menus or other navigational goodies, like expanding & collapsing sections. Any other content you create should go into posts. Categories have been around for a long time. 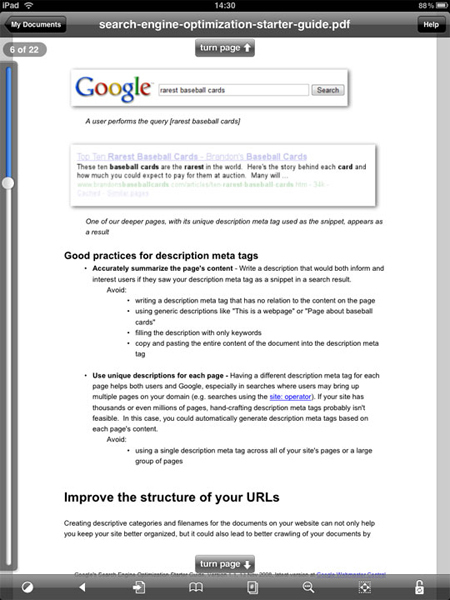 Tags are a more recent way to classify content on your blog. There is a difference between them. Categories only live in one place, but tags can repeat themselves and live in many places at once. Categories are like big buckets to divide the information itself, but tags are ways of labeling and identifying characteristics about the information. The analogy works for any kind of blog: what are your “recipe types” compared to your individual “ingredients”? 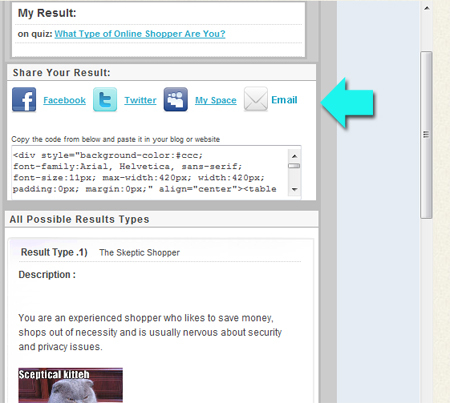 Think of it that way, and you’ll be more easily able to assign categories and tags to blog posts. Does this clear things up for you? Let me know if you have further questions in the comments! 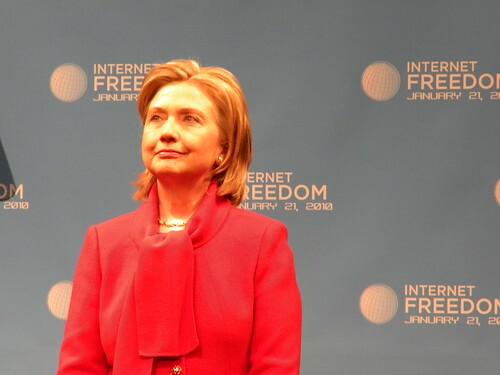 The problem of online content theft has always been hot. You may have spent weeks and months producing some great piece of content (be it a photo, a video or anything else), and once it is live online, before you know it, hundreds of website owners are already republishing it (with or without credit) and getting traffic, links and social media shares that were supposed to be earned by you. If you can’t prevent people from stealing your content, benefit from them reusing it. Make your content easy to embed and re-blog and promote your brand through embedded content. One of the biggest benefits is added audience reach into communities loyal to the hosting site itself. All of the mentioned services are highly popular and have hundreds of thousands of users. Exposing your content to them is GOLD. It means higher traffic, more attention and wider viral spread. Of course, getting popular there is not easy: but the more you try, the better your chances are. The users are just more willing to share the content from the sites they feel comfortable to use. Besides, most of those content hosting sites are social-media-friendly and encourage users to share your content. What are your thoughts on re-purposing your content to third-party services? Is it a win or a fail? Blogging can be a lot of fun. But what happens when you run out of ideas? Then it can become frustrating and more difficult to want to sit down and write. Don’t worry! No matter how much you’ve already covered in your niche, there’s always something else to say. If you’re feeling stumped for blog post ideas, let this list inspire you. These blog post ideas can be adapted to any niche, so give them a try! Share news — Search the news engines and see what’s going on in your niche or industry. If there’s news, share it with your readers. You could write a detailed post, or even just link to the news source and write up a brief summary. Comment on news – If you have an opinion on one of those news stories you found, link readers to the original news, and then write up a blog post sharing your own viewpoint on the issue. It can be a great way to ignite some cross-blog or comment discussions. Write a review – Every niche has something that’s available to review. Go to your library or bookstore and pick up a book that might be of interest to your readers. Review it. You can also review services, products, or even other websites and blogs! Conduct an interview – Just because you don’t have something to say at the moment doesn’t mean others in your niche don’t. Find a credible source, and interview them about a niche or industry issue. Bonus — you’ll get to network with go-to sources in your niche! Write a resource list – These are usually longer than top ten types of lists. They compile a large number of resources that readers would be interested in all in one place. For example, if you run a blog on blogging, you might list 100 places to find free blog themes. On a PR blog of mine, I created a “big list of free press release distribution sites” because it’s something a particular segment of my audience frequently looked for. Your audience is looking for something too. Help them find it. Assemble a round-up post — Another list-style post, round-ups are often done weekly or monthly. Basically you put together a list of links to other blog posts recently posted in your niche. Sure, it’s a bit of a cop out but it keeps your blog fresh, brings your blog to the attention of other bloggers in the niche, and gives readers access to other material they might find interesting. I like these because they’re a way to show readers trends in what bloggers in a certain niche are talking about during a given week. Answer a reader question — If you get reader questions via email, consider answering them publicly on your blog instead of responding to the email privately. You can remove the reader’s personal information (or share it if they don’t mind). This not only gives you something to write about, but it stops you from having to answer the same questions privately over and over again. Answer a non-reader’s question — Don’t get many reader questions of your own? That’s okay! Look at answer sites like Yahoo! Answers or LinkedIn’s Q&As. 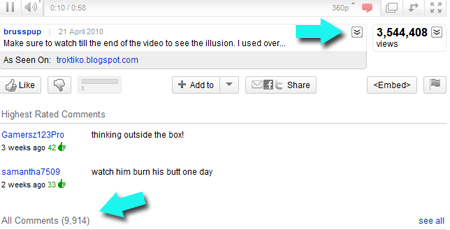 Also look at comments left on other blogs in your niche. What are people curious about? What do they want to know? Share the answer to common questions on your blog, even if they’re not from your own readers. Chances are that some of your readers have the same questions, and they simply haven’t asked yet. Update an old post — Do you have an old post that’s a real gem, but it’s so buried in the archives that no one sees it anymore? Consider updating it with fresh relevant information (especially if any details are outdated), and then change the post date so it goes to the front page as a new post again. Note: you might not want to do this if it’ll affect your permalink and incoming links and traffic, and you should probably note that it’s an update so long-time readers know why it seems familiar. Highlight old posts – If you don’t want to, or can’t, update an older post you can still create a new post that brings it to the attention of newer readers. For example, if you run a business blog and you have a bunch of posts on handling the start-up phase, you might create a new post that serves as a hub linking to all of them (maybe with a summary of each). Rant. Rant. Rant! — Does some issue in your niche or industry seriously get under your skin? Tell your readers why! Don’t be afraid to rant once in a while. Just know your audience’s tolerances for it before you do so you don’t get too offensive for your readers. Have a cross-blog discussion — Did another blogger in your niche say something that caught your attention? Why not blog about it? Conversations in the blogosphere aren’t limited to the comment function. If you have a lot to say, link to their post so your readers can see it, and then post your own thoughts. Cross-blog debates can be fun, but it’s okay to share a post you fully agree with too. It shows support for an idea and another blogger. Take a look at Twitter — Even if there’s no “official” news in your niche at the moment, that doesn’t mean there isn’t buzz about something going around. Do a search on Twitter and see what people in the niche are talking about. Then contribute with a blog post of your own (or highlight some interesting tweets). Ask a question — We already talked about answering questions that others have. Why not ask your own? Asking a question in a post is a good way to build reader involvement, and you might get some new perspective on an industry issue (which might inspire another post!). Get visual — Is your blog mostly text-based? Do something different and share a video or a photo that might interest your readers. It doesn’t have to be your own. For example, you might embed a YouTube video. Just make sure you have rights to share something like a photo before you do (a credit link alone doesn’t make it okay — or legal). Get personal — Why not share a personal story with your readers? I’m not talking about something completely unrelated, but rather your own individual experiences with a situation in the niche. For example, if you blog about Web hosting and you recently went through the process of moving your site from one host to another, that might be an interesting story to share with your readers. Find out what readers want — Use a tool like the Adwords keyword tool to find out what people are searching for in your niche. You might just find some interesting post ideas in there that you wouldn’t have otherwise considered. Share a blog update — Write a post that looks back on the history of your blog. Talk about what you’ve done, how it’s evolved, and where you’d like it to go. Publish a guest post — If you still can’t think of anything to blog about, consider accepting a guest post from someone else in the niche. Generally this means giving them a link back (it’s a marketing tool from their perspective), but you’ll get fresh content for your readers. There you have it — 20 blog post ideas that can work on virtually any blog! I hope you found something useful. Do you have ideas you’d like to share with other bloggers in addition to this list? Leave a comment and let us know what you do when you can’t think of anything to blog about. How to make money with paybox.me? They are designing the service with the help of a dedicated group of EarlyBird users who are contributing ideas and feedback. Log in frequently to see where they need your help. Subscribe to their blog. Their blog is the primary channel they use to communicate news, updates and information to our EarlyBird members. They'll add new tasks as they continue to grow. With each new task, you can always choose to participate (and get rewarded) or not. I ran into PayBox.me a few weeks ago and decided to take some time to quickly go over what it is all about. PayBox offers a pretty steep $50.00 sign up bonus. To me, this raises a red flag not just because $50.00 is a nice bonus for a sign up form that will take you less than 1 minute to fill out, but because I have to wonder how long it will take to actually physically get that sign up bonus. PayBox.me initially makes itself out to be an online currency and payment processor site where you can send money to people, but I believe this is what they eventually want to become. At the current moment PayBox looks more like a task website where you get paid to complete various tasks online. I’ve also seen a couple surveys to participate in. Of course, like all websites, you get paid to refer others. They claim to pay you $5.00 for every referral you bring in. The only problem is that they are claiming to give you all this money, but ask for nothing in return. Kind of sounds like they might not be in business very long unless they find ways not to pay there loyal members. If PayBox can pull all this off, they might have something going for them. It's better late then never, maybe you might have ignored your analytics bounce rate for a long time but don't worry you can still work on it and get those high bars down. It's a normal problem faced by bloggers and website owners to get more than one page views from their visitors. This is something that no one has control over because you can't tell your visitors to visit all pages of your blogs but you can always guide them to visit another page on your blog. Naturally, if you want visitors to stick around, your content should be worth reading and regularly updated. This also ensures that your content gets linked to from other sites, which will in turn increase your traffic. It also helps to make your content easy to read. Learn the rules for writing good Web copy: Use short, single-topic paragraphs; condense content to bullet lists; highlight important phrases in bold; keep page lengths short. In order to engage visitors, your site's content needs to focus on the topic that those visitors are interested in. Each page of your site, as well as the site overall, should be on-topic. For example, if your site is about dog breeding, don't have a page on the site that discusses horses. Think about your site's overall objective, as well as your audience. Does all of your content help to achieve your site goals, and is it content that your audience want to see? Use the Google Analytics Keywords report to see what people are searching for when they reach your site. Are you attracting a lot of traffic for keywords that have high bounce rates? Maybe it would be good to add some new content that gives visitors the information they are searching for. Each page's title should match the content within the page. Don't use misleading page titles. A great way to encourage visitors to read more than a single page of your site is to offer links to related information on the page. For example, a product page might have a list of links to related products. Similarly, you could add a list of related articles or a "further reading" list at the end of an article page. A professional, appropriate design lends an air of authority, inspiring confidence in the visitor and encouraging them to explore your site further. An amateur or unattractive design can put people off and send them back to the search engines. It can also make your site harder to navigate, which means that visitors will spend less time exploring your site. Of course, you may not be a professional designer, or you may not have the budget to hire one. However, there are some basic design rules — such as minimizing the number of colours and fonts in the page — that can have a big impact. Testing your site with real people can be a great way to find out the underlying causes of high bounce rates. Show your key landing pages — particularly those with high bounce rates — to friends and colleagues. Ask them what attracts them on each page, and what turns them off. Are they inclined to buy your products or explore your site further? Or is there something about the page that discourages them from staying on your site? As well as testing your landing pages with friends and colleagues, you can run A/B tests on your pages: Randomly serve 2 different versions of a landing page, and see which page results in more sales or other conversions. Google Website Optimizer can help automate this process. As an alternative to A/B testing, you can make improvements to 1 landing page and measure how the bounce rate changes compared to other landing pages. For example, if bounce rates generally stay the same or increase over the course of a month, but your changed landing page shows a drop in bounce rate over the same period, then the chances are good that your changes reduced that page's bounce rate. If the purpose of a landing page is to encourage the visitor to take action — such as buying a product, signing up for a newsletter, or exploring your site further — make sure the call to action is obvious. The call to action is an element of the page — such as a button or a piece of text — that indicates what the visitor should do next. For example, if your landing page needs to encourage people to buy an ebook then a large "Buy The Book Now" button would work well. It's also a good idea to reduce page clutter. Remove unnecessary or distracting elements from the page so that the call to action stands out. If you want visitors to engage with your site and explore it more deeply, make sure your site navigation menu is easy to find and easy to understand. Place the menu in an obvious place, such as near the top of the page. Use clear, simple words for your navigation options. Don't use jargon. Try not to have too many main nav links. A maximum of 7 links is a good rule of thumb. Work on getting more targeted traffic to your website. The only way to do is to start optimizing your website for search engines. I know it's a very time consuming task but it pays you in long term. Make sure you have corrected all the above mentioned points to start working on SEO for your website. If you somehow get high bounce rate from search engine traffic then shame on you and start over again on these tips and this time don't hurry. In your post content try surprising your visitors by offering them some new information but remember that must be related to the content of that post and the surprise should be pleasant of course, don't piss them off deceiving them. This will build an excitement in your readers and he would be interested to see what he is to get more in your other blog posts. 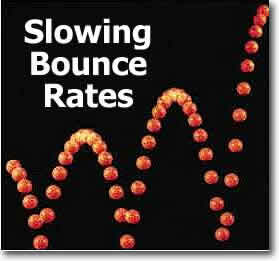 Now take a look at your own site's bounce rate and see if you can lower it. By reducing your site's bounce rate, you're increasing visitor interaction on your site. This usually means happier visitors and a more successful site. Have fun! There's been a lot of stink lately about bloggers bowing out. In the most publicized example, reporter Dan Lyons decided to call it quits. The refrain: "We just can't make any money." I won't want to be too confrontational, but: Bull pucky. There's more than one way to skim dollars off your blog. Here are some serious, and some not-so-serious, techniques, and my experience with each. The only way to make money by selling ads on your blog is to be rich or famous first, and then write about how you became rich or famous. Before you say "But what about...? ", yeah, I know there are a few exceptions. A few. And most have 4-5 writers working in sweatshop conditions to crank out posts so fast their fingerprints have melted off. The others have names like Darren Rowse, and I'm so jealous of them I can't even mention them here. But, that won't stop you from trying. So go ahead. Take your blog that gets 5,000 visitors per month and stick some Adsense ads up there, or even better, try to sell ads direct. My attempt. I have Adsense ads, plus I sell direct. My earnings. My best month ever? $200. That's with an average of 35,000 visitors per month. Told ya. You can also hawk other people's wares. Sell enough Acai Berry for Frank's Supplements Emporium and you can make a bundle. Sell a few really high-priced items and you can make some nice change, too. Use Market Leverage or someone similar and you get great, helpful people to help you pick the best possible offers, too. Affiliate marketing isn't a bad racket, actually. I've done OK, earning enough to keep my wife from snickering at me when I take an hour to blog instead of snuggling in front of the TV (she snickers affectionately). But you need to pick products you can stand behind, and pick your affiliate network carefully. When I started out, I got ripped off, and I still occasionally run into situations where I don't get paid for, oh, 4-5 months. My attempt. I sell MarketingSherpa's excellent guides, books via Amazon and the occasional event on this blog. I also sell everything from chocolate to books on a number of others. My earnings. Great compared to advertising: $300-700/month. Pathetic when you consider the hours I put into writing. OK, I'm being a little harsh. If you want to Stick It To The Man, figure out 30 ways to fool folks into clicking on hidden Adwords ads, steal other people's content and risk their fiery wrath, or sell your e-mail list to the highest bidder (for $.03/e-mail). OK, maybe I'm not being harsh. The internet is still young, and there are plenty of ways to wring cash out of advertisers or the unsuspecting via your blog. Just don't ask me how. My attempt. None. I have enough bad karma from times I've snapped at my kids for no reason or went 50 in a 40 zone. My earnings. Zero. And proud of it. Create your own training course, e-book, book or other product and sell the crap out of it. On the plus side, you control your own destiny. Create something great and it just might stand out from the 999,999 other training courses, e-books and other self-created products that every other blogger is hawking non-stop. On the down side, there are 999,999 other training courses, e-books and other self-created products. Plus writing, producing and launching an entire training course may lead to permanent nervous ticks. My attempt(s). I wrote Conversation Marketing, the book, as well as the UnScary, Real-World Guide to SEO Copywriting. I've sold a total of maybe 500 copies. Ever. In my life. Plus I have another horrifyingly late e-book on analytics due out, and a Dummies book due out in about 4 weeks. My earnings. Not a hell of a lot. Still, it's fun, and I love to write. I'll probably keep beating my head against the wall on this one. Building your SEO leverage with great, link-worthy content. Creating a history and a tone to which you can introduce prospective clients. Building a body of knowledge that establishes you as an expert. Generally building your presence among potential customers. Inviting others to come read your latest creation. It's not easy. It takes a long time. But it works, beautifully. I have yet to see someone who writes insightful, thoughtful stuff 1-2 times a week fail at it. My attempt. You're reading it. My earnings. If I only count clients who have found me and my company directly via this blog, $200,000 per year, average, over the last 3 years. If I count all the potential clients who I sent to the blog to further sell myself and my company, closer to $400,000 per year. What strategy do you want to try? It's your choice. Just go in with open eyes and a long-term plan, and the worst that happens is you work your way through until you find a strategy that works. You have to download and/or install a proxy software (such as Tor) on your computer. Some VPN (Virtual Private Network) services also need installation, and some only need to build a Virtual Private Network connection, but most of VPN services are not free. This kind of proxy tools is easy to be used, nothing to be downloaded or installed, but most of them have traffic limit and themselves are easy to be blocked too. I mainly use Tor to visit those blocked websites, but sometimes I also use online proxy websites, especially when I am using public computers. Below is a list of 10 best free online proxy websites, which will let you unblock the websites by just entering their URLs, but there are pop-up ADs, so look out them. Except Polysolve, Dtunnel and Sslunblock, all the other seven online Proxy websites are also available for you to watch YouTube videos. The above website will update workable proxy website list every day. Again, just look out those pop-up ADs from those free online proxy websites, or you’d better install proxy desktop software or VPN on your own computer. Get tired of those Twitter users who you follow do not follow you back? If yes, you can find and unfollow them. Below are 10 websites which will help you find out that among your following, who do not follow you back, then you can unfollow them easily, and of course, FREELY. You can login Refollow with Twitter OAuth or Twitter account, sort the results by I’m Following and Not Following Me, then you will find out who are those tweeps that do not follow you back, and you can unfollow or block them at a time. Besides to unfollow those inactive Twitter users, you can also use Tweepi to unfollow those who don’t follow you back. Just sign in with Twitter OAuth, you will see those Twitter users who do not follow you back on the Flush web page, and you can unfollow them all in one click. Sign in Buzzom with Twitter OAuth, Click the Flush button on the TwitIn web page, then you will see a list of those tweeps who you follow are not following you back. You can just select them all and Flush (Unfollow) or Block them in one click. Sign in Mytweeple with Twitter OAuth, Sync with Twitter, click You Follow, then you will see those tweeps who do not follow you back, and you can unfollow or block them one by one. After login with Twitter OAuth, you will see a list of those tweeps who you follow are not following you back, you can select and unfollow all of them just in one click. ManageTwitter also lets you find out and unfollow those inactive Twitter users. Sign in Justunfollow with Twitter OAuth, click Show Non-Followers, then you will see who are those tweeps that do not follow you back, and you can unfollow them one by one. Just enter your Twitter username on Twitual, then you will see your followers as well as your following, and you can unfollow those who do not follow your back (Idols) one by one on Twitter website. Sign in Tweepsect with Twitter OAuth, enter your Twitter username and click Enlighten Me, then you will see a list, on which the Stalking means those who you follow are not following you back, you can just unfollow them one by one. Just input your Twitter username on FriendOrFollow, then you will see how many tweeps that do not follow you back, and you can unfollow them one by one on Twitter website. Sign in Your Twitter Karma with your Twitter account or Twitter OAuth, sort the result by Only Following, then you will see those tweeps who do not follow you back, and you can unfollow them one by one, or block them in one click. Among the above 10 websites, Refollow is my favorite, since it has many functions, including tracking who has unfollowed you. How about you? Which one is your favorite? Or do you have any other websites to find and unfollow those tweeps who don’t follow you back? Share with me by adding a comment.